My friend, a fellow blogger, just published her first book! She provided me with a copy of her new book, and I have a feeling many of my readers will love her words. 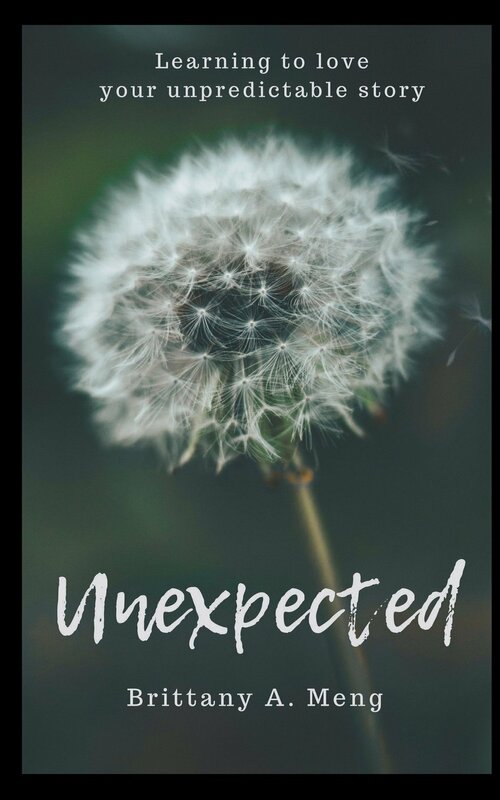 This book is a short collection of personal stories and meditations about the times in the author's life when she was forced to deal with the unexpected. As a mom and military wife, many of her stories will resonate with women in similar seasons of life. For example, she openly shares her feelings about how she walked through an Autism diagnosis for a child and a miscarriage (and more of life's unexpected twists and turns). There are many things I loved about this book. First, the short stories and reflections are the perfect length for busy, overwhelmed moms. Second, while the author uses the Bible as a key source of strength and guide for reflections, it is not your standard "if God leads you to it, He will lead you through it" verbiage. Instead, Brittany gives women the freedom to know it is okay to not be okay. It is okay to question why you are dealing with the unexpected - and it is even okay to ask God why. 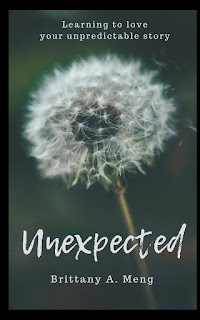 I love when we use our stories to help others - and this is exactly what Brittany is doing with Unexpected. For anyone who has felt hopeless or alone, this short book will be a healing tool. You will read it and say, "me too." Brittany will help you feel less alone, and by the end, you will feel hopeful once again. You can purchase her book on Amazon (or as a Kindle ebook) today!